This Questrade review will establish Questrade as a serious player in the discount broker market. In fact, it’s the BEST platform for new and small investors. Read on to learn why it’s the perfect discount broker to start with and more importantly, you get to read comments from real Questrade investors. If you answer yes to any of the following questions, this review is for you and you are on your way to keep more of your money. 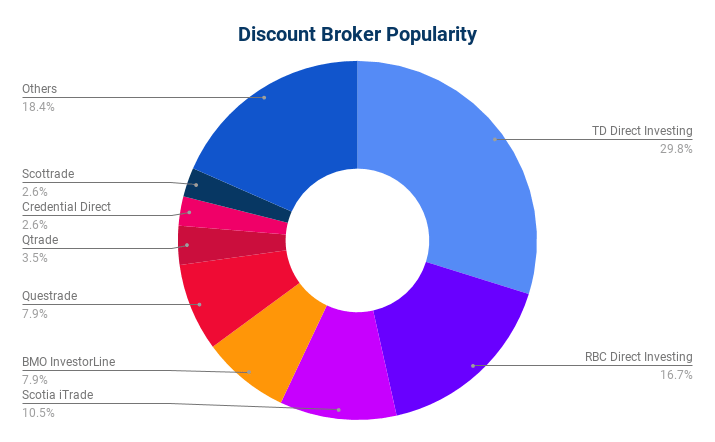 Are you looking for your first discount broker? Are you looking for the lowest commision to invest? Are you looking to have a dual-currency account? Are you looking for no account fees? Are you looking to buy ETFs for free? Are you looking for a $50 Promotional Offer? It’s simple, a big bank discount broker will charge more for your transaction and charge you for opening an account. That’s two ding – remember bank fees? Those fees continue with the big bank discount broker. See what Questrade can offer you so that you can keep more of your money. Questrade is an independent discount broker not owned by any financial institution. Without the backing of a large Canadian bank, Questrade is able to compete with the like of BMO InvestorLine, TD Direct Investing, RBC Direct Investing or Scotia iTrade. Don’t eliminate Questrade from your discount broker options just because you cannot walk into a branch. As it happens, none of the bank branches can actually help you with their discount broker either since it’s an online service. Chances are, if you walk into a bank branch for discount broker questions, they will end up calling someone to help out. It comes to the same with Questrade. The application process is actually easier with Questrade. You can do it all online. Any required documents can be uploaded which is not the case with some bank discount broker. For example, with RBC Direct Investing, I have to fill forms and mail them in whereas Questrade supports online signature and document upload. It’s quick and easy if you are comfortable doing everything online. Questrade is to the discount broker world what Tangerine is to the banking world. Questrade offers 2 ways to invest your money. The self-directed approach is as advertised where the investor is in control of buying and selling the stocks. The Portfolio IQ a professionally-managed low-cost online investment service. Questrade describes the service as follow. It’s not index investing but it’s using ETFs to manage your portfolio. 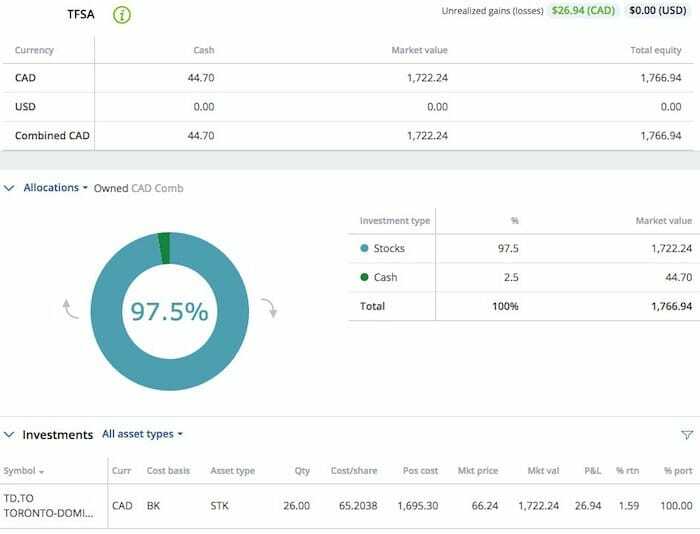 With Questrade Portfolio IQ, your money is invested in a diversified portfolio, much like a mutual fund. However, we use a cost efficient portfolio of exchange-traded funds (ETFs). These ETFs give you a diversified investment with much lower fees. Questrade Portfolio IQ is a step up to any mutual funds investors. It can be a stepping stone to the DIY self-directed approach. In a past survey of readers, Questrade usage rank 6th with bank discount brokers leading the pack. It highlights how many investors seek to have everything in one place. It’s not a bad approach to managing your money but I think it’s important to understand the fees you pay annually, and more so when you are just starting as you want more money working for you. 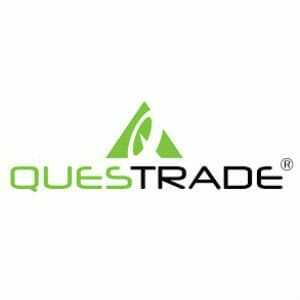 I do have an account with Questrade along with a big bank discount broker. You can only have one non-registered account at a financial institution and I have a need for 2 accounts for accounting and tax purposes. One account is built against a line of credit and the other is just a normal account. Having a non-registered account with each discount broker allows me to separate the tax tracking necessary to deduct the interest from the investment LOC. Questrade also has the lower transaction cost which keeps the cost lower. The basic online stock transaction will set you back between the minimum of $4.95 and maximum of $9.95. The actual price is 1 cent per share with a minimum and maximum value. You can find all the transaction costs and fees on their website. When it comes to ETFs, all transactions are free. The dream for any index investors as you really are paying very little for your portfolio. The trading fee is less than all the bank discount brokers unless you trade over 1,000 shares at a time. As per many of the discount brokers, using a real person to execute a trade is an extra $45. Mutual fund transactions are $9.95. If you are investing in mutual funds, such as the BMO Monthly Income Fund, make sure you understand all the fees that come with mutual fund investing. If your investing approach includes index investing, you should have your index portfolio with Questrade. With no purchase fees on ETFs, you can do monthly contributions, benefit from the dollar-cost averaging approach and have all of your money work for you. Rebalancing a portfolio with ETFs can be minimal if you sign up with the $50 trade commission rebate. Opening an account with Questrade is by far the easiest I have found so far. You can do it all from the comfort of your home at your computer. It supports digital signature. When opening an account, you need to be ready to transfer $1,000 to fund your account and complete the steps. The process is also very simple, it’s done just like you would make a bill payment to your bank account. Below are the three steps Questrade expects to activate your account. DRIP is another benefit with Questrade for those seeking income and wanting to put their earned money at work. DRIP plays a big part in my investing strategy and Questrade provides the support. Unfortunately, there can be maintenance fees on accounts depending on the size of your holdings. This is now the reality of many discount brokers and a bit of a challenge for investors with a small portfolio. Questrade has a silver lining with their ‘myfamily’ plan where you can combine all assets for lower fees. It’s brilliant since it brings more customers into the fold and on top of that Questrade has a referral program. As of April 1st, 2015, an inactivity fee of $24.95 per quarter is charged to clients with under CAD $5,000 in combined total equity for any quarter in which the client does not complete one commissionable trade. Questrade is one of the platforms that can support dual currencies and it’s a must-have if you are going to be interested in holding US companies in your portfolio. As you can see below, the account has separate cash accounts. 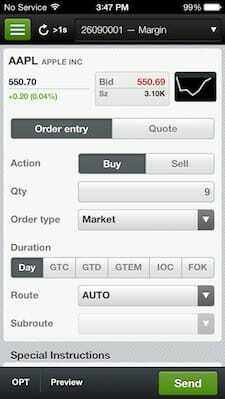 The trading platform is intuitive. There are clear call outs and naming that are easy to understand for all investors. The top bar is clear and there are added links at the bottom with more details to educate new users. While the website is intuitive and easy to use, the mobile app was not easy to identify. It’s called Questrade IQ which is confusing with Portfolio IQ. 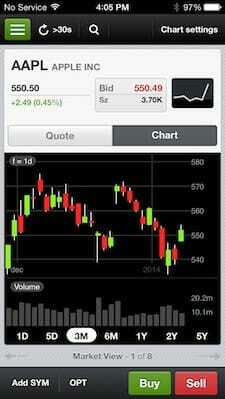 It is the right app and you can see your portfolio, news, and watch list. It’s functional but the naming of the menus differ from the website and take a little time to adjust. The comments below seem polarizing but from my experience with RBC Direct Investing and Scotia iTrade, it’s no difference between many of the discount brokers. You can see the transaction window on the right. I always make my trade with a limit order so you want to ensure the interface is not prone to mistakes. It’s really easy to see your buying power which can include your ability to borrow so be careful or the result of executed orders. Execution order seemed fine. I buy with limit orders to avoid any momentary swings or to be caught on a flash crash of any sort. It’s a habit I picked up and I usually pick the ask prices which is essentially the market price. In this day and age, you would expect that a discount broker can provide you with the performance of your account. Profit & Loss is present in many areas of the website as well as the return percentage in the account section. There is an investment return section which can help keep track of your return per account. I personally would not stop tracking my performance on my own using a spreadsheet. See how I track my Rate of Return (or ROR) for accurate performance tracking. The first priority of a discount broker is to properly report on income tax, showing you the performance return is becoming mandatory along with reporting on fees spend but it’s limited. Mobile support with Questrade is present under Questrade IQ. As mentioned, I wasn’t sure it was the appropriate app but it is. It provides the same feature set that most discount brokers have. All the basics but the menu names differ slightly. Give yourself some time to become familiar with the app to avoid making a rush transaction. At first, the market research section is overwhelming. It’s a summary of the market from multiple views and a lot of data to look at. What you may be interested in for researching stock investment is under market intelligence research. Like many of the discount brokers, the market research data comes from third party providers. In the case of Questrade, the partnership is with Morningstar. 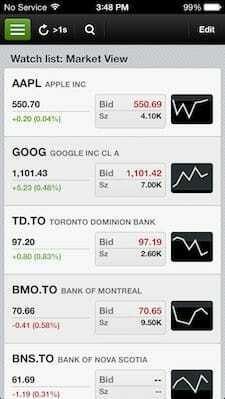 There isn’t any recommended list unlike the Scotia iTrade research I have seen. There is an alert system that can be useful if your investing approach is based on choosing a stock price and waiting for it. My experience is limited to email and chat support but it was efficient and useful. The chat questions I had were also answered efficiently. I have not asked complicated support questions but in general, it’s important to get the terminology right. For example, it took me a few discussion with RBC to know that a share transfer between trading exchange is called journaling. It’s a feature that must work in order to do the Norbert Gambit with DLR and DLR.U. It’s as easy as paying a bill and it’s exactly how you do it. Questrade is the institution and the account you want to deposit the money is the account number. After 3-5 days, the money is in the account. Do make sure the account you are funding from matches your name. The initial funding of a Questrade account takes the same amount of time once the account if fully approved. It’s faster than the banks to get started, or at least it was when I started with Questrade. 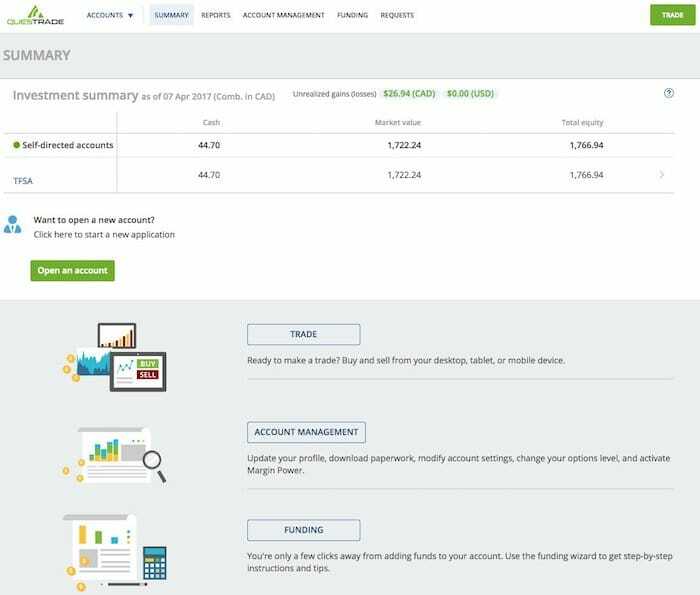 The process of funding your account works but there is also another option that can be useful and it requires setting up a pre-authorized payment to your Questrade account. The interface is super simple and similar to how you would setup your pre-authorized payment with a utility with the concept of one-time transfer available. You will need the bank code which is selectable from a drop-down, the transit code which is usually the branch you deal with (or where the account was opened) and the account number which you can find online with your account. The last step is to provide proof of the account by providing a copy of a void cheque for the account. Generating a void cheque for the account in question is pretty simple these days as most financial institutions should be able to provide a digital copy. I know RBC and Tangerine do provide the ability to create a digital void cheque. To create a digital copy, just click print on the page and then select save to PDF. Once you have the PDF, just upload it to the document section of your account just like you did when you first applied and provided various documents. You can make one-time transfers or set up recurring transfer to any of the accounts you have. Rather than sending from your bank or you are fetching from Questrade. To transfer USD to your account in USD without any currency exchange will require you to setup the pre-authorize steps outlined above. Withdrawing funds from Questrade is also easy and you have a couple of options. Once enrolled in the DRIP program, all dividends paid from a stock or ETF are automatically re-invested. Questrade will purchase whole shares based on market price. Any remaining cash will be deposited in your account. Choosing a discount broker is a personal choice and the discount broker should satisfy your requirements. If you are a seasoned investor with a decent portfolio, the fees usually are not concerned but if you are starting, make sure you understand the fees you may pay for each of the accounts you are interested in. Questrade and some other discount brokers have practice accounts. Try the practice account to see what is offered and if it will work for you. In the end, each discount broker will probably not meet all of your requirements and your requirements may change over time. Don’t hesitate to switch, especially if you have over $25,000 as the receiving discount broker tend to cover the fees.